Drawing on rich musical roots, personal instinct and a healthy dose of soul, new Latin artist Elena Greandia brings a style all her own- and fans of her new single ‘Adios Granada’ all across the world are loving it. A resident of Messery, France, Elena Greandia has been balancing life responsibilities with her creative drive for years, but has recently found her musical interests evolving and expanding. This evolution, it turns out, has been the conduit for an exhilarating journey to the threshold of worldwide recognition. Critics of Elena Greandia's award-winning work recently had this to say about the rising star: ‘Shiveringly intimate, then taciturn in measure, 'Aflamenclass' is the perfect companion to a meditative evening - rich with moods and secrets to flavor your own.’ Added to these honors, her debut radio single ‘Adios Granada’ is rapidly ascending the international charts. Reporter Andrew Edwards recently caught up with Elena Greandia to learn more about this intriguing Latin artist, her unique musical vision and plans for the future. ANDREW: As an artist on the rise, what is one thing you are most excited about and one thing you are most afraid of happening in your career? ELENA GREANDIA: The thing I´m more excited about in my career is to expand my artistic project Greandia, which is intended to contribute to the awakening of human consciousness through the most ancient and universal way: the music. The thing I´m most afraid of happening in my career is one day having fear. I don´t believe in fear because it does not exist, it´s only a creation of our minds. ANDREW: Your song ’Adios Granada’ is receiving a positive listener response on radio. What was your initial reaction when you first heard your song playing on radio? ELENA GREANDIA: My initial reaction was, wow!! It´s really nice that many people across the world are listening now to my flamenco adaptation by "Tangos" of the Zarzuela ‘Adios Granada‘ honoring the memory of Federico García Lorca, the Spanish poet. I wanted to capture the diversity of cultures interconnected though music and create amity between cultures by blending their music and values. I was giving all of you my passion, the romance I feel for music, the energy I want to transmit to your hearts and souls from the universe of my creativity, and a return to our natural essence through the sentiments I feel. ELENA GREANDIA: My inspiration was Federico García Lorca, the Spanish poet born in Granada and the Zarzuela of Tomás Barrera called “The Emigrants”. “Adios Granada” is a romance of “The Emigrants” and the only Barrera production that has lasted until today in the memory of many people. The song produces a lump in the throat due to its high emotive nature. 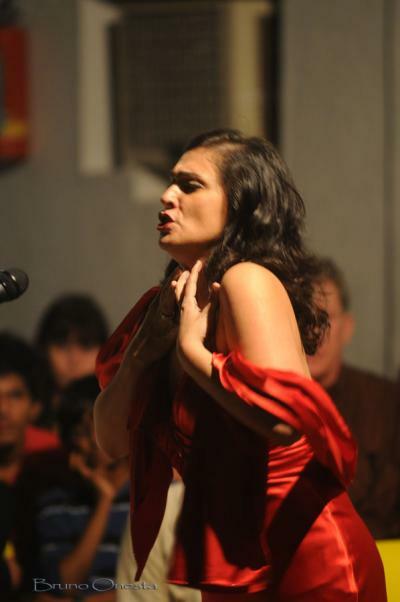 The zarzuela and song are based on the emigration of Spanish in the early 20th century, usually to Cuba. In that moment with more than 60 million people forcibly displaced from their countries, I wanted also to honor them trying to support their cause that is also ours. ANDREW: It is often said that great art arises from difficult experience. Is there something in your life experience thus far that you would describe as the ‘catalyst’ or ‘fuel’ for your desire to create music? ELENA GREANDIA: Lorca shows that great art depends on an intimate knowledge of death, a connection with the origins of a nation and a recognition of the limitations of reason. "Duende", for the Andalusians, refers to the subliminal interpretation of bullfighting (the art of bullfighting) and any other phenomenon such as dancing or singing. These phenomena convey the artist to an experience of death by evading time and reality, and thus touching the end of her/his existence. The art that comes from the mere reproduction of forms is the opposite of "duende art". According Lorca, the artwork inspired by the duende gives us the essence of the world, as with the music of the flamenco singers, as with my musicians and myself. I want to tell you a briefly about my history. I grew up in a humble neighborhood of La Linea de la Concepción (Cadiz) escaping sometimes from my school to listen the spiritual song sessions of gypsies performed in the Evangelical Church in front of the Poniente beach ine and feeling their “duende”. At home my father was a great flamenco hobbyist and one of my sisters won some flamenco amateur competitions. But it was not until 2002 that I discovered my passion for lyrics by listening to Falla, Turina and Granados. 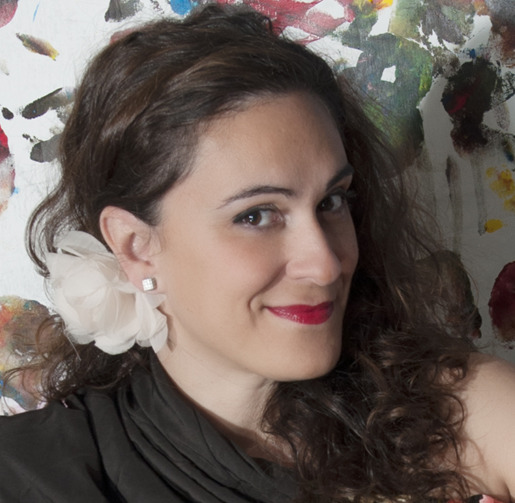 When I created AFLAMENCLASS three years ago, I wanted to return to the classical authors such as Falla, Turina, Barrera, Bizet, Puccini, Verdi ... to the roots of popular songs through the "styles" of flamenco, reaching a wider audience with these compositions and connecting my childhood memories with to lyric passion. ELENA GREANDIA: I has been defined as an eclectic artist because my artistic approach does not hold rigidly to a single paradigm or set of assumptions, but instead draws upon multiple styles or ideas to gain complementary insights. For me what is important is not the styles, but people who listen to the life stories that inspire me." ELENA GREANDIA: As mentioned before one of my sisters won when some amateur flamenco competitions. I also have a nephew who is a rapper and my husband is a composer. ELENA GREANDIA: For me music is the language of the heart and soul and if you're there in this language, it is much easier to connect with other people listening to you, so that they can feel the “Soul Friend” (" Anam Cara" in Gaelic ) in their hearts. For me the most rewarding part of being an artist is to be able to create this “Soul Friend” emotional state in people. When you reach it, it´s fantastic!!. The most challenging is to help people through music to take care each other more and more in a sustainable way. ELENA GREANDIA: Apart from the spiritual songs of the gypsies and the lyric music performance of Victoria de los Angeles and Maria Callas, for me Stevie Wonder was quite an influence. I related to his arty spirituality and his emotional expression. On the other hand, Concha Buika and her music draws on a wide range of influences, from jazz and flamenco to pop, soul and African polyrhythm and she continues to be a reference for me. ELENA GREANDIA: My guidance is that they imagine always creating their own reality and making things happen, no matter what´s going on around them. My second guidance is that they use their creativity when in a state of mind where they know exactly what they want and are fully determined not to quit until they find it. Finally and the most important, always be yourselves, come back to the innocence and feel the joy and happiness it produces. ANDREW: What's next for you as an artist? Is there a new single in the works? If so, what can you tell us about it? ANDREW: Wonderful! Thank you sharing some insights into what makes you the artist that you are. I wish you continued success in your career.